With the book2net Hornet we have developed a high-performance machine with PLC-controlled precision drive that ensures an extremely gentle digitization and meets the ergonomic requirements in combination with a high productivity. 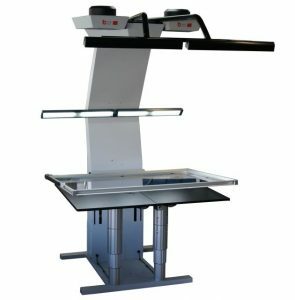 Modular lighting units, variable book cradles and programmable control modules make the book2net Hornet uniquely flexible scanning system that can be precisely adjusted to the specific requirements of your digitization project! Thanks to the parallel use of two highly resolving area sensors in combination with high quality lenses, the book2net Hornet provides uncompromised quality. Scanner is equipped with a 160 power dual illumination system which ensures a constant color temperature during the scan process and therefore an accurate color reproduction. Thanks to the built-in Fresnel lenses, a uniform light distribution is guaranteed. Especially for thick large-format books with wide spines, a height adjustment by the book cradle is essential in order to achieve a true-scale digitization. Thanks to the dual laser system, the book2net Hornet can be set to the ideal focus level within seconds. Through their PLC controlled spindle drive, the specially developed motor driven profile lifting columns of the new book2net Hornet semi-robotic enable a precise height adjustment of the book table up to 25 cm resp. 40 cm if desired. 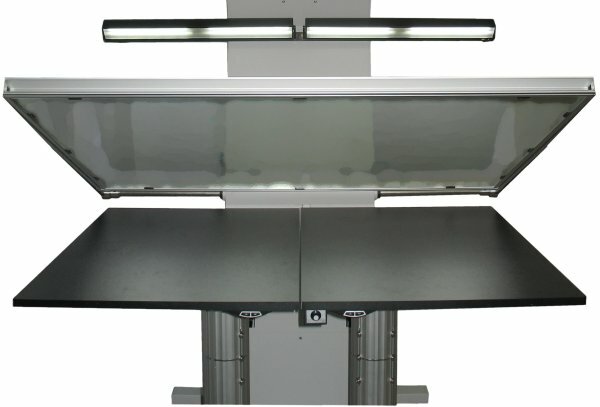 Designed for a payload of up to 180 kg each, they comfortably support the scanning of thick and large books. Following customer requests, we have developed different control modules and additional options for the glass pressure system and book cradle of the book2net Hornet semi-robotic to specifically meet the complex requirements of various originals and working processes. Controller module 1: for the optimization of the aperture angle of the pressure system with automatic adjustment to the book size. Controller module 2: for optional control of the fully automatic, semi-automatic and manual operation. Controller module 3: for the automated guidance of book thickness adjustment.